Peter Peacock was educated at Hawick High School and gained a diploma in Youth Work and Community Service at Jordanhill College. He has worked as a community worker, area officer at the Citizens Advice Bureau and as a self employed consultant. He is a former member of Scottish Natural Heritage, the Post Office Board for Scotland, European Committee of Regions and the Council of Europe - Local Authority Chamber. Whilst a Labour MSP Peter Peacock held Ministerial Office since the inception of the Scottish Parliament having been appointed by Donald Dewar. He is currently one of Jack McConnell’s Ministers at the Scottish Executive, with responsibility for Finance, Local Government, Public Services and European Funding. He has also held Ministerial responsibility for Education and Children’s services. He has piloted ten Scottish Executive Bills through the first Scottish Parliament. 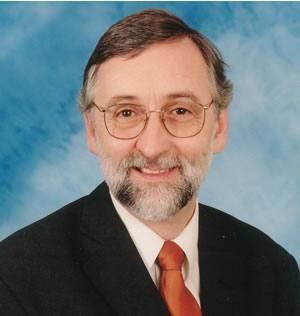 The former Convener of Highland Council, Peter Peacock has 17 years experience as a Councillor, having also been Highland Council’s Finance and Policy Chairman. He is a former Vice President of the Convention of Scottish Local Authorities and represented Scotland in Europe as a Member of the European Committee of Regions. He has served on the Boards of Scottish Natural Heritage, the Scottish Post Office and the Cairngorms Partnership. Peter Peacock is married and has two sons.